Tuesday 6 November sees the first ever TICTeC Local, a one day conference examining Civic Tech at the cutting edge of local government. mySociety’s annual TICTeC conference has already established itself as the must-attend event for the Civic Tech community. Now TICTeC Local promises the same opportunities for learning, networking and take-home lessons — for Local Government. If you have an interest in how technology is changing the ways citizens interact with councils and city governments, this conference is for you. The schedule is shaping up nicely for a full day of commentary and presentations from inspiring thinkers. They are a blend of hands-on Civic Tech practitioners, and representatives from the authorities, both in the UK and abroad, who are transforming local services at the grassroots level. Here’s a run-down of the speakers confirmed so far. As Director of Data at the Government Digital Service (GDS), Paul led a cross-government programme designed to improve the way government approaches, uses and handles data. He’s now brought his insights to Local Government, as CDO at MHCLG. No-one is better placed to give us the ‘state of the nation’ when it comes to how digital technologies can transform citizen-government interactions. Carl is known for innovative approaches to service delivery, citizen engagement and governance. His passion for local democracy is demonstrated by his role in establishing Notwestminster, a national network where people can share ideas for improving local democracy. Consul is a free citizen participation tool which fosters transparency and democracy in local government. It’s being used in 18 countries around the world to give citizens a say in the decisions that shape their communities. Lincolnshire Council are the latest to integrate with fault-reporting service FixMyStreet, as part of a council-wide strategy to shift to digital. The Democratic Society (Demsoc) works for more and better democracy, helping governments that want to involve citizens in decision-making to be transparent, open and welcoming of participation. Anthony founded DemSoc in 2006 after 14 years in strategic roles in UK central and local government; and as Managing Director, Michelle leads on the organisation’s research projects. FutureGov seeks to reform public services by supporting organisations through digital transformation and service design. Over the past ten years, they’ve helped more than 100 local and national authorities over four continents think differently about public services. Jon co-founded this social innovation lab in 2014, to help catalyse the shift to a more participatory society. 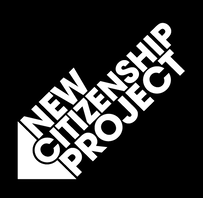 The New Citizenship Project works with all types of organisations to engage people as citizens, working with tools as varied as documentary films to setting up new social enterprises. Ex of Government Digital Service and City Hall London where she established The London Data Store, Emer is now helping to build The Federation, an open community of digital businesses & innovators, built on co-operative values, in the heart of Manchester. Book your place here, and sign up for our mailing list to make sure you hear the latest details as our schedule is confirmed. There’s more information about TICTeC Local on the main TICTeC website.